TechPro Security Products has established themselves as a leader in high performance thermal imaging security cameras. We have experience setting them up in small scale and large environments. 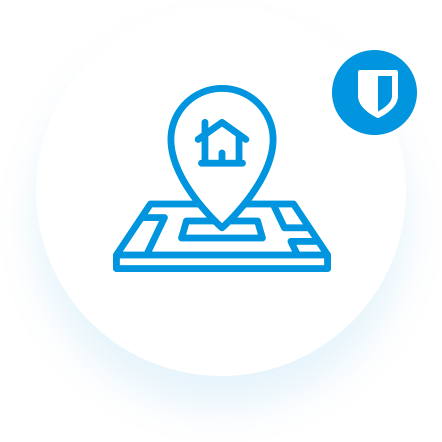 Whether protecting a small home or business to larger complete neighborhood and HOA security solutions, we can help. Our dedication to providing the ultimate thermal perimeter security solution is unparalleled. Due to our long-established relationships with the leading manufacturers of thermal security cameras, we are able to pass along greatly discounted pricing. Supplement your current security monitoring techniques. The way a person sees is from reflecting light that travels off of an object and then into our eyes. Traditional cameras work in the same manner. Thermal imaging cameras, however, work in a completely different fashion. Instead of perceiving lights, they seek and detect heat signatures and patterns and then construct images from the differences in temperatures. 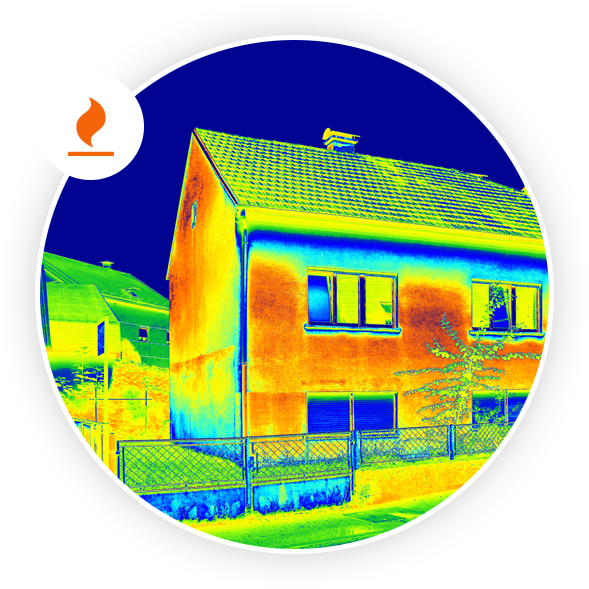 Everything, whether it is manmade or natural, creates and disperses infrared thermal energy. The warmer and hotter something is the more thermal energy it will emit. Many things will create their own unique heat signatures, warm blooded creatures or machines, while other ones, like water, rocks and land will absorb heat from the sun throughout the day and then radiate that heat during the night. Thermal security cameras will construct imagery from these miniscule differences. Thermal security cameras were first developed for military and law enforcement use only. In recent years the affordable prices of thermal security cameras has allowed homes and small businesses the ability to experience this advanced level of surveillance. With traditional security cameras, when the light is reflected on common atmospheric events like rain, fog, or smoke, it will not allow the cameras to see detailed visibility. Thermal security cameras, however, don’t rely on light to get imagery, so these types of conditions and obstructions will not affect their ability for creating high contrast imaging. Even heavy foliage, the type that is commonplace around larger HOA’s and neighborhoods, is not an issue for thermal security cameras. Thermal security cameras have the ability to see just as well at night as the daytime. Because thermal security cameras rely on heat signatures as opposed to light for image construction, they deliver an unquestionable tactical benefit twenty-four-seven, year round. Traditionally color contrasting that is provided by convention security cameras during daytime hours do not deliver an overall picture for anyone viewing for the detection of potentially harmful events. Thermal security cameras, however, are next to impossible to deceive or mask, so when persons or objects are hidden or attempting to hide in shadowy areas and foliage, detection will be easy for any thermal security cameras. Thermal signatures, patterns and energy travel through the atmosphere much more efficiently and effectively than visible light. Because of this, thermal security cameras will detect any potential visitors and intruders from a greater distance. This will allow those monitoring to have more time to react whether intercepting or for calling law enforcement. 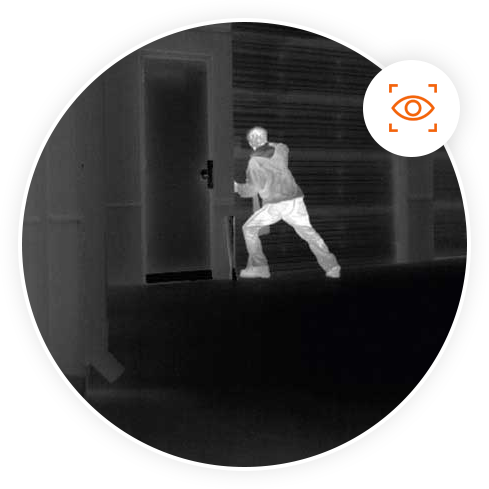 Thermal security cameras allows you to have the ability to see the one thing a person cannot disguise – their heat signature or body heat. Our thermal security cameras feature a complex high tech analytic system, using high contrasting thermal imagery allows triggers to be activated by moving heat thus reducing false alarms from high wind that will move objects like foliage and branches. 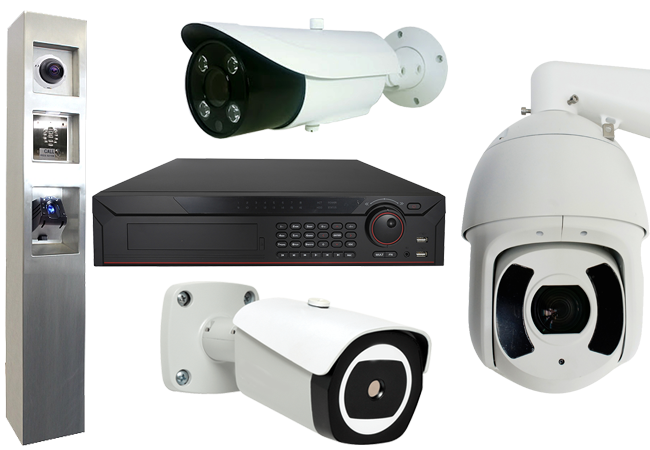 Maximizing your surveillance capabilities by using a combination of thermal security cameras, high definition security cameras (visible daylight), infrared (night vision) and low light cameras like our Starlight solution. Using a variety of security surveillance cameras will ensure that your security system will be effective around the clock. Simply give us a call or fill out the above form.